Our house Oyster Fisher No. 1 is one of 4 adjoined row houses. Our house is the corner house facing the southwest. A nice property with garden and surrounding terrace available. 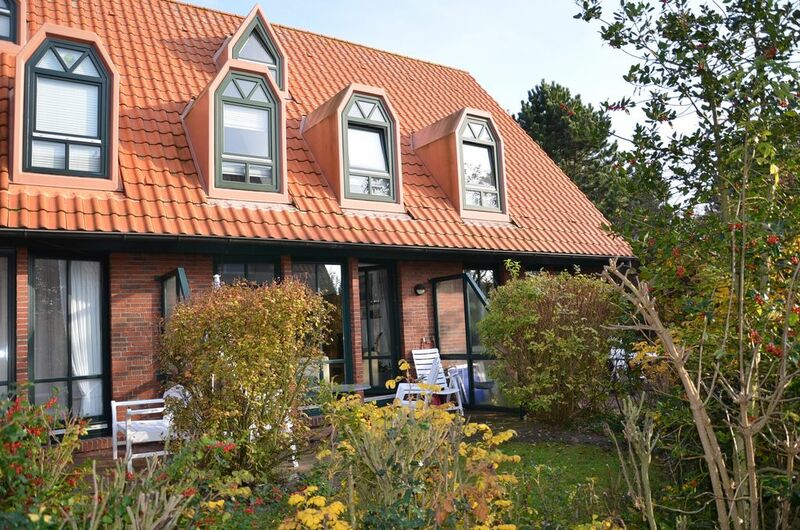 Here you'll find two exclusive houses on the North Sea island of Spiekeroog. The two comfortable houses on Melksett with 100m² each are yours from the basement to the rooftop. Both offer you relaxation in a natural sauna or a steam bath. The light-flooded interiors and a terrace with garden will help you enjoy the island's atmosphere. There is a WLAN since the beggining of 2009—nternet connection available in our houses that we offer as a free service to our guests. Further Details: Two children bicycles are available. Das Haus ist gut eingerichtet und bietet ausreichend Platz für 6 Personen. Besonders hervorzuheben ist die private Saune im Keller. Insgesamt gute Voraussetzungen für einen erholsamen Urlaub. Wir fühlten uns von der ersten Minute an heimisch. Das Haus ist absolut klasse ausgestattet und unsere 1 1/2 jährigen Jungs konnten wir frei laufen lassen, da die Treppenauf- und abgänge mit Kinder (manchmal auch Erwachsenen-) Sicherungen gesperrt waren. Sehr empfehlenswert. The greenest island in the car-free North Sea spa region. Spiekeroog is healthy, natural and stimulating. The local authorities have organized a good sports program and there is also a seawater pool.